I warned Democrats that hell cometh after the midterms. And so it begins for the Clintons. The Clintons’ Day of Reckoning approaches. Now, this family of crooks and scoundrels must answer questions from a Department of Justice no longer filled with Clinton-supporting swamp rats. And this is only the beginning. The Clinton Foundation has been under an FBI investigation for months. The Hill newspaper reported that FBI agents from Little Rock, Arkansas, recently conducted an interview with a potential witness. The paper said the Justice Department “has launched a new inquiry” into the foundation. But the administration official said the investigation was quietly re-opened several months ago. He explained that while what Sessions has done doesn’t look like much, he’s actually done quite a bit. For one thing, the Fed is investigating The Clinton Foundation. But what’s more important is how Sessions avoided the swamp. Federal authorities are actively investigating allegations of corruption related to the Clinton Foundation, the charity of Bill and Hillary Clinton, according to a US official briefed on the matter. 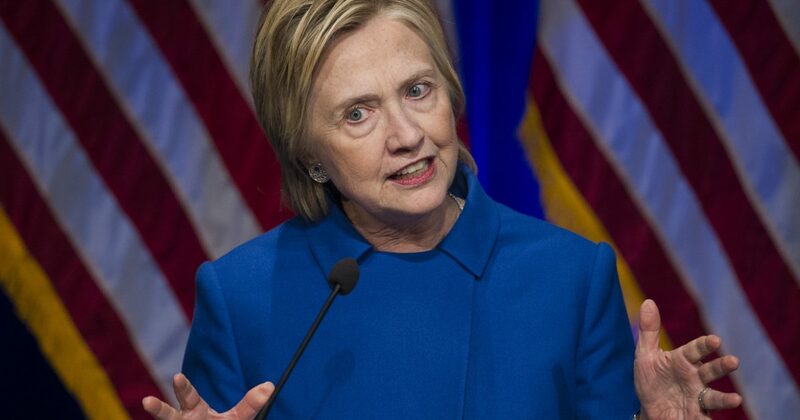 The FBI and federal prosecutors are looking into whether donors to the foundation were improperly promised policy favors or special access to Hillary Clinton while she was secretary of state in exchange for donations to the charity’s coffers, as well as whether tax-exempt funds were misused, the official said. The investigation, led by the FBI field office in Little Rock, Arkansas, is being overseen by the US attorney’s office in the state, according to the source. It’s unclear precisely what, if any, new evidence ignited the current federal investigation, after initial inquiries had stalled prior to the 2016 election. The Justice Department declined to comment to CNN, citing a general policy of not confirming or denying the existence of active investigations. The US attorney’s office in Arkansas declined to comment. So Sessions initiated this investigation in Arkansas, not DC. Thus prying eyes of swamp rats get no view. The FBI field office in Little Rock. An office devoid of the sycophants of James Comey leads the investigation. Is what we’re seeing now the fruit of Sessions’ labor? On thing is for sure, and that is Hillary Clinton and company won’t find nearly as amenable a Department of Justice as they did in the past. I’d love to be a DC insider hanging around the Clinton clan. I suspect a few of them already grabbed their bugout bags and headed for their prepper homes. When it comes to the Clintons better safe than sorry in getting off the grid. As for the rest of DC, particularly other Obama administration members, the executioner comes for you too, soon.